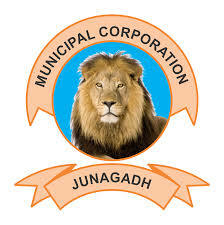 Junagadh Municipal Corporation (JMC) has published Advertisement for below mentioned Posts 2018. Other details like age limit, educational qualification, selection process, application fee and how to apply are given below. B.E. in Environmental Engineering & Having 05 years of experience in the Environmental field in Govt. / Semi Govt. / Recognized Institute. Post Graduate / Graduate Degree in Finance or Equivalent Qualification from a recognized university. Experience in Housing finance or Banking or Housing PolicyExperience Min. 3 to 5 years. Application Fee: An Application Form should be sent along with Demand Draft for an Application fee of Rs.100/- for General & Rs. 50/- (SBI Non-refundable) in favour of "Commissioner, Municipal Corporation, Junagadh''.